COLONEL ANDREW J. BRATTON, JR. 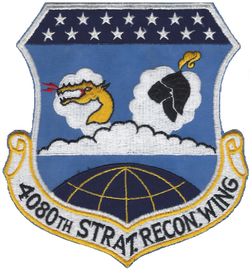 COLONEL WILLIAM D. KYLE, JR.
STRATEGIC RECONNAISSANCE 1956-1976: A History of the 4080th/100th SRW , Page 16. Lieutenant Colonel Dave C. Hearrell, Jr. Lieutenant Colonel James S. McKown, Jr.